Winches are drum shaped mechanical devices used to handle halyards, sheets and control lines. One of the important crew skills to learn is winch handling and knowing how to operate a winch correctly. The sails of a large yacht exert considerable force on the ropes which control them. As a result, hauling the ropes tight requires considerable physical effort. Knowing how to operate a winch makes the task much easier. The average cruising yacht has several winches in the cockpit area. 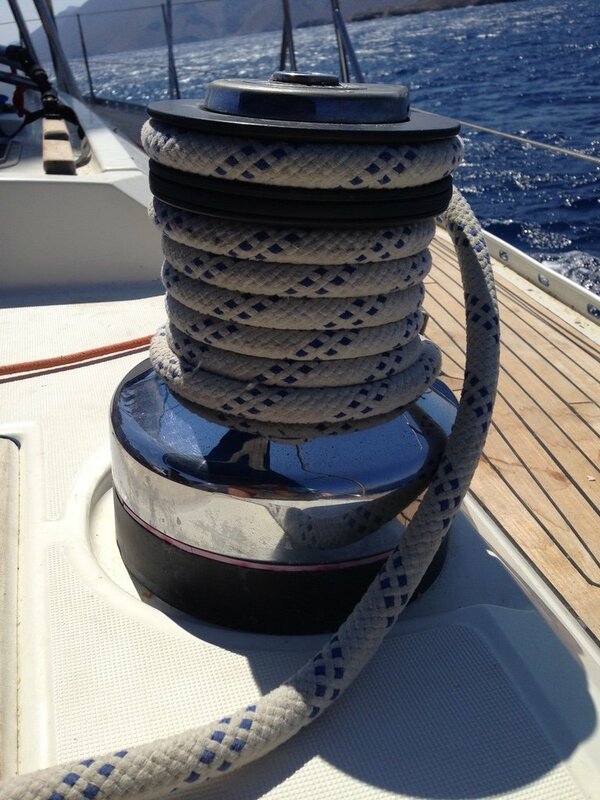 Some yachts also have winches on either side of the mast. 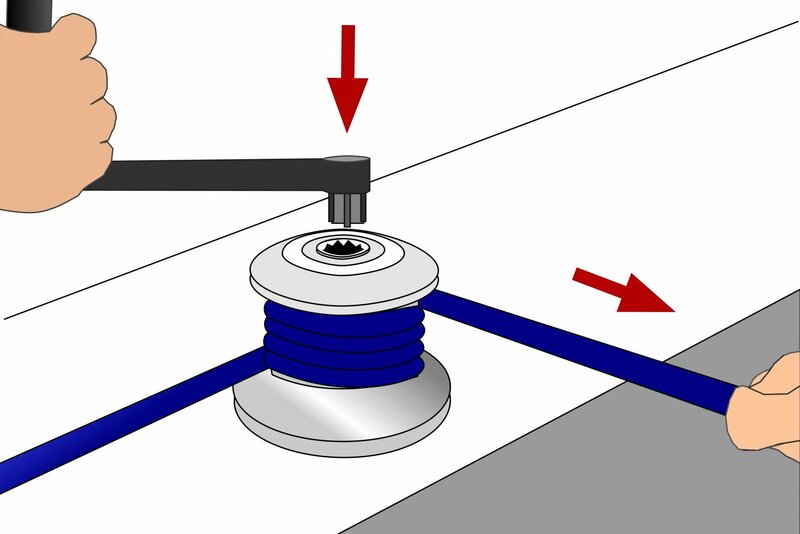 A winch works by applying friction to a rope, gripping it tight in the process. If possible it is best for two crew members to operate a winch. One person works the winch and the other pulls on the end of the rope, known as tailing. Some winches have a jaw-like device called a self-tailer. 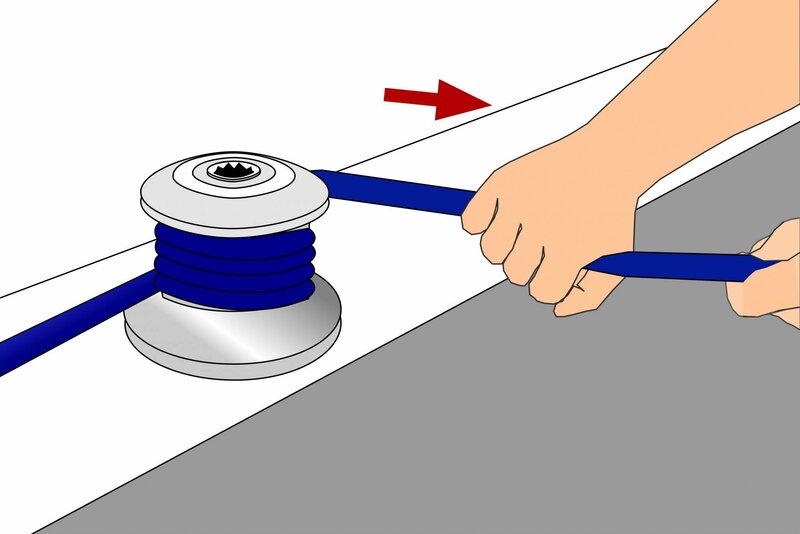 A self-tailing winch grips onto a rope and prevents it from unwinding, which makes it possible for one person to operate the winch. 1.Beginning from the bottom of the drum, wrap the rope around the barrel of the winch in a clockwise direction. 2. Wind the rope around the drum three or four times. 3. Insert the winch handle into the top of the winch and use it to wind the rope tight. 4. Cleat the rope when it is wound in to keep it under tension. 5. Remove the winch handle. It is very important not to overlap the turns of the rope as this will cause them to cross over each other and jam. When this happens it is known as a riding turn. 2. Keep the sheet tight to prevent it slipping. 3. Press the heel of your hand over the turns on the winch. 4. Allow the sheet to slide slowly around the drum, releasing some of the tension. 5. Re-cleat the sheet when it is eased enough. 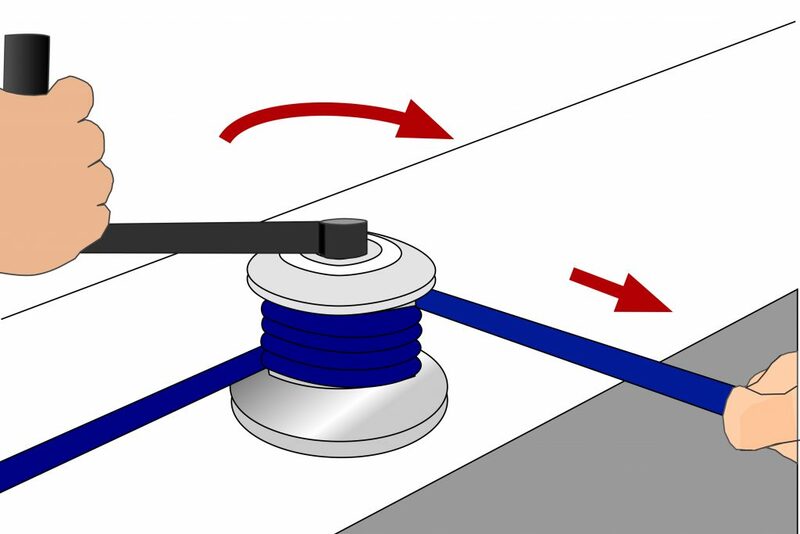 Winches turn in a clockwise direction. If you can’t remember which way a winch turns, give it a quick turn with your hand before putting a rope around it. Pull all the slack in before you load the winch to avoid a riding turn. 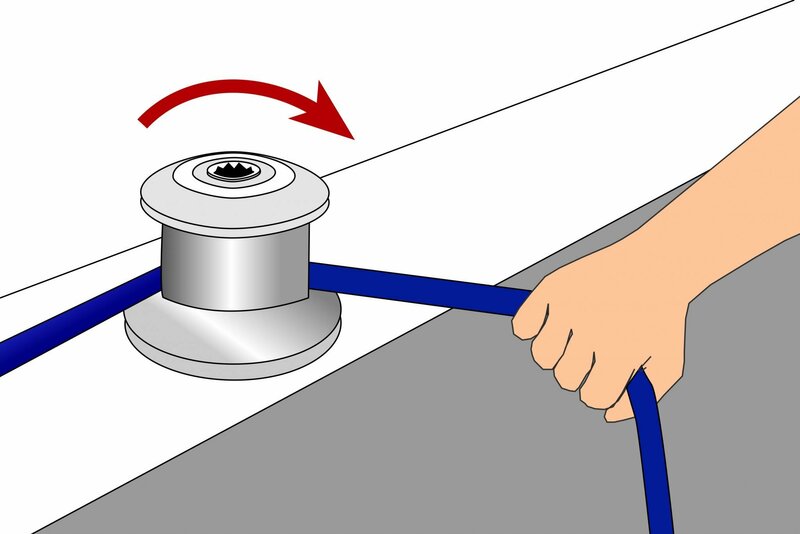 Make at least three turns of a rope around a winch when you load it. Keep the back of your hand facing the drum to prevent your fingers getting trapped. Ease a sheet with the heel of your hand to prevent your fingers getting trapped.  Tell the skipper if you do not know how to operate a winch. You will be instructed how to use it properly and safely. This is very important as winches can trap fingers and get jammed if they are not used correctly.